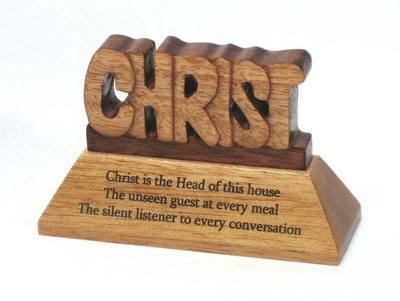 With laser engraved wording "Christ is the Head of this house. The unseen guest at every meal. The silent listener to every conversation"